Painting the inside or outside of your home or business takes time and patience. For many people, they simply don’t have the free time to invest in trying to paint a single room in their home or business, let alone the whole thing. That’s why it is so important to have someone that you can turn to when you need to spruce up your property without having to worry about having to do the work yourself. At Timco Construction, we have a team of professionals who is capable of handling all of your painting needs. Regardless of whether you want one room renovated or your entire property, we can handle all of the work for you. Just let us know what it is that you need and we will get to work painting your property right away. You can rest assured that when our team gets done painting your property it is going to look amazing. We can even help you choose the perfect color to accentuate your existing décor and give your home or business a complete makeover. Siding is one of the first things that someone sees when they pull up to your property. If the siding is falling apart or missing pieces, it can cause people to form a negative impression of your home or business. That’s the last thing you want. If you want to help people form a positive impression from the minute they pull up to your property, you want to make sure the siding is in top condition. Our team at Timco Construction can come in and repair any broken or missing siding to help ensure the outside of your property looks sensational. In the event you are looking to have all of your siding redone, we can handle that as well for you. Regardless of whether you want traditional vinyl siding, brick siding, wood siding, stone siding or stucco siding, our team of professionals can come in and get to work outfitting your property with the siding you desire quickly and efficiently. 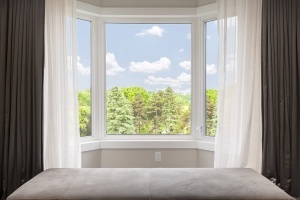 Your windows are a pivotal part of your home. If the windows are falling apart or otherwise worn, it can cause your home to end up with a horrible draft. That’s when you need to turn to a professional like Timco Construction to come in and replace the windows for you. We will go around and take measurements to make sure that the windows you choose are going to work for your specific home. Our goal is to make sure you get quality windows at an affordable price while making sure that they are going to fit into your existing home window casing. By keeping out the drafts and providing you with quality windows, you will notice your energy bill going down with each passing month. There are a number of different types and brands on the market today. If you aren’t sure which ones you want or don’t know which windows are going to work the best for your home, our team can help you figure out what options are in your best interest. We are here to help simplify the process for you. Your door is the gateway to your home or business. While you might have a lot of people coming into or out of the property during the day, you want to make sure your exterior door is secure at night. If your door isn’t as secure as it needs to be, we can help you replace the exterior door to your property and get you something more secure. From storm doors to French doors, we can install whatever type of door you desire. When choosing a new door, make sure to choose a style and color that accentuates the exterior of your property and ties the look together. Interior doors are also important. Whether you run a law firm, medical practice or any other type of business, you want to make sure you have doors on the offices to give your clients the privacy they deserve. The same is true for the doors in your home. You want something that is going to be aesthetically appealing, functional and durable while still providing individuals with the privacy they want. It doesn’t matter if you want one door replaced or every door in your home because our team can handle it all for you. Lighting is important for any home or business. You want to make sure each room has ample lighting in place to help illuminate everything in the space. If there isn’t any light in one of the rooms in your property, we can install new lighting for you. From recessed lighting to track lighting and more, we have someone who can handle all of your lighting renovation needs. It isn’t going to do you any good to have a bunch of rooms with no lighting in them, especially as a business owner. You don’t want to purchase floor lamps for all of your offices. This is why it is so important to have one of our team members come in and install the lighting you need for your property. If you are simply looking to upgrade the fixtures on your current lights to make them more modern and stylish, we can handle that as well. No job is too big or too small for our team at Timco Construction. We work with the customer to provide them with the style they desire in their new lighting fixtures. Most homes and businesses today have sheetrock walls. While you don’t want to assume that you are going to need to repair them anytime soon, things can happen when you least expect them to. It doesn’t matter if you were trying to hang shelves around your business or a new closet rod in your home, there is always the chance that something could cause the material to give out and leave you with a small disaster. If you have a hole in your sheetrock that you need repaired, we can handle it for you in no time. From repairing a small hole to redoing all of the sheetrock in your property, we have a team of professionals who is extremely knowledgeable about what it takes to provide you with the quality work you desire in the shortest amount of time possible. When we go through and patch the sheetrock, you won’t be able to tell that there was any damage to begin with. We strive to make the sheetrock look amazing when all is said and done. No one wants to think about having a bunch of pests come in and invade their property. But, termite infestations can strike just about anyone. They love burrowing and making their homes inside of the wood. These nasty pests come in and create large cavities in the wood rendering it structurally unsafe. In the event you were dealing with a termite infestation, you need to have the damage repaired to prevent something from giving out in your home or business and causing someone to get hurt. We have dealt with termites in the past, so we know what we are looking for and how to best rectify the situation for you. It doesn’t matter how bad the termites were because we can repair any amount of damage they might have caused to your property. Once you know the termites are gone, you can begin working on the next phase of the process and that means restoring your property back to its original state. We have someone who is ready and willing to get to work on your termite restoration today. Doors and windows need to be aligned properly. If they aren’t, they are going to end up tearing the frame apart and causing all sorts of problems around your home or business. Over the course of time, it’s only natural for your property to shift and cause the doors and windows to become misaligned. The best thing you can do is turn to someone who can come out and realign everything for you. In doing so, you can prevent having to spend extra money on repairs beyond a simple realignment. Even if your window or door is only an inch or two off, it can cause air to seep into your home among other things. Our team can come out and make sure everything is taken care of so you don’t have to spend more money than you need to on your energy bill each month. Adjusting the windows and doors doesn’t take very long, but the benefits are well worth the time and effort involved.